Reel technology has improved by leaps and bounds in recent years. From stacked disc drags to fully sealed, saltwater-proof drags; there are a ton of choices in reel platforms out there. All of the fancy drag systems out there have benefits that provide an edge to the most skilled anglers. Sealed drags are the latest and greatest systems out there. They are impervious to sand, silt and saltwater, giving anglers a peace of mind that there will likely never be a problem with their reel. It wasn’t long ago that cork drags were the latest and greatest, offering the smoothest function of any reel. Before that, the latest were conical clutch systems which were preceded by stacked disc drags and previously by drum brakes. But in the beginning, it all started with the click pawl. Most modern anglers go for the latest, most modern system, or at least the most modern that they can afford. Let’s be honest, people love having the greatest, newest technology out there. That is why people stand in line for days in order to get the new iphone when it comes out. But some of us are cut from a different cloth. 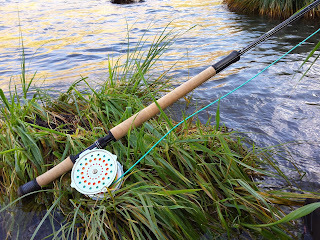 I believe that some of the best reels ever made are still made today in much the same way as the very first production fly reel designed in 1874 by Charles Orvis. His click pawl reel was the benchmark for countless generations of fly reels, and not much has changed in click pawl reel design since then. Now the gold standard in classic fly reels across the world is the Hardy Perfect. It has been made in Allenwick, England since 1891 and almost nothing has changed in its design because it is Perfect. The mechanics of such a simple design leave little room for failure. The pawls (triangular pieces of metal) in the frame click against a gear on the spool that prevents the reel from overrunning if moved quickly. There is little to no stopping power on click pawl reels. While the pressure that it takes to move the pawl can be adjusted on some models, running fish should be slowed down by applying pressure to (palming) the spool. 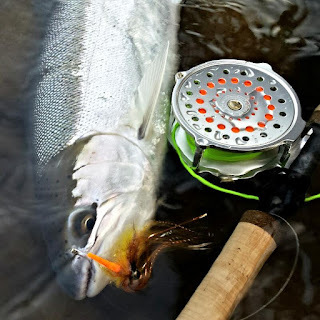 Anglers can almost never blame a lost fish on a drag that was too tight or too loose on a click pawl reel, nor will you see anglers fiddling with the drag knob at crucial moments, because there isn’t much that can happen between the loosest and tightest setting on a click pawl reel. Lost fish can only be blamed on an angler’s own lack of controlling the pressure on the reel. It does take more skill to control the pressure on a click pawl reel, but it takes one back to the simpler times long ago where it was just man vs. fish. The original reels only had one pawl, forcing anglers to retrieve with only their right hand. 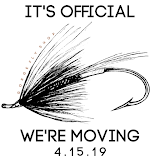 The biggest change in click pawl reel design in the past sixty years is the addition of a second pawl so that anglers can change their reel from right to left hand retrieve. One pawl or the other is engaged by turning it so that the teeth interact with the gear while the other pawl sits at an angle so that it is not functioning. Another adjustment in design is the addition of an “adjustable drag”. It is a simple addition; a small tensioner pushes against the pawl to increase the pressure that it takes to move the gear. There is not much difference between high and low pressure (hence my quotation marks), but it is enough to give anglers peace of mind and to quell the doubters. Now the best part of a click pawl reel... Why I love them so much: the sound. Oh the sound of a screaming click pawl reel cannot be paralleled! A digital recording of a screaming Hardy Perfect was set as my ringtone for a couple of years, but just made me want to fish too much every time my phone rang. Now, I have had anglers in the shop compare the sound of a click pawl reel to nails on a chalkboard. For them, I suggest a quieter reel like a Bauer or a Galvan. Not everyone needs a reel like this. Why else should you buy a click pawl reel? You’re buying a piece of history. The Perfect has been made by Hardy since before any of us were born. The Hardy Bouglé and Lightweight series have been around since before WWII. 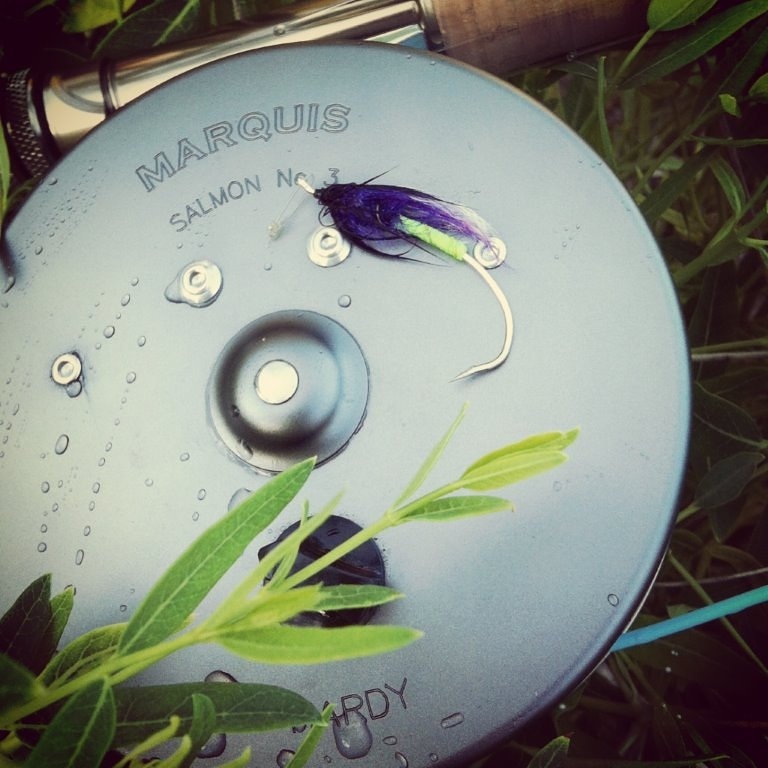 The Marquis is one of Hardy’s newer reels, although it has been in production since before the founding of most other reel companies in existence. There are some newer click pawl reels on the market, and they also have the same worry-free drag, awesome sound and classic look as the old stand-bys. Hardy introduced the Duchess last year in both trout and spey sizes. They are simple, yet elegant and look just as good on the water as they do in the store. They are also a bit lighter in weight than a Perfect or a Bougle. Hardy is not the only game in town when it comes to click pawl reels, even if they are by far the top dog on the street. Abel has been building their TR trout models since the mid 1990s, and their Classic, Spey and Switch reels since 2012. 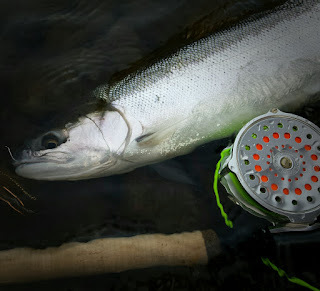 The cool thing about Abel reels is the multitude of color and porting options to choose from. 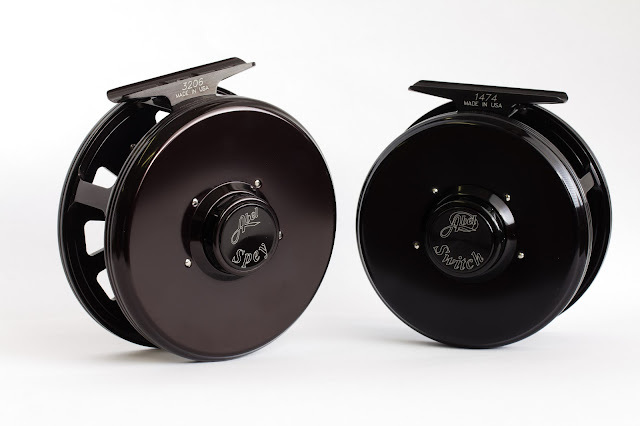 You can customize your reel to the last detail while still getting that classic click pawl experience and the finest craftsmanship, perfect machining and unparalleled attention to detail. Yes, it’s true, click pawl reels are not just for steelhead fishermen, although that is where the majority of our sales go. 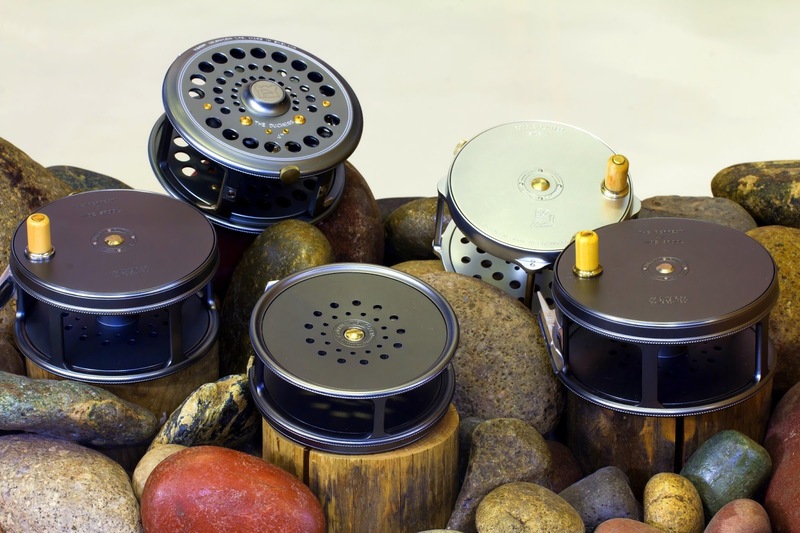 As mentioned earlier, Hardy has been making their lightweight series trout reels since the 1930s, with four models to fit any of your trout rods. And Abel’s TR models are beautiful reels with a classic design; but there are more options out there. Most seasoned anglers have owned a Pflueger Medalist at some point, or at least have seen them at a garage sale. I have two old Medalists; one of them is from the 1940s and still works just as smooth as it did on the day it left the factory in Akron, Ohio. The original Medalists used a drum brake system, which was one basic engineering move above a click pawl, but far less complex than any type of disc brakes that we see today. Pflueger, which is owned by Pure Fishing, the same parent company as Hardy, re-introduced the Medalist this past year, and the new model incorporates a click pawl system instead of the old drum brake. This is the most affordable click pawl reel in the store and comes in trout sizes too, plus they look pretty darn cool on the new fiberglass rods. Other companies offer a modern hybrid version of a click pawl reel. Sage’s new Click series reels feature a composite pawl that is quieter, yet just as smooth and efficient as a traditional reel but with large arbor design and modern looks. 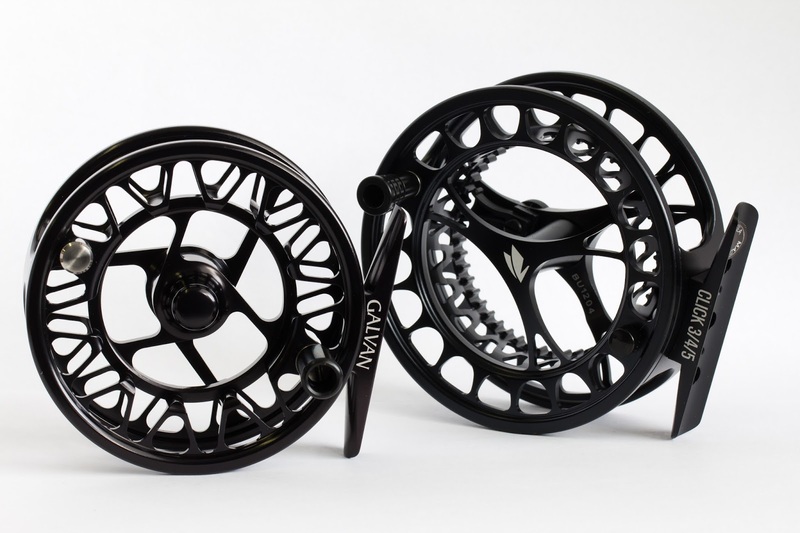 Galvan’s Brookie reel features a Click-Ball system that is similar to a click pawl design but with modern bearings, smooth operation and a similar, modern, large arbor design. Both of these reels are top-end alternatives to the traditional click pawl reel but with even smoother function and a quieter click. I have heard concerns from anglers about using click pawl reels for trout. They are afraid that delicate tippets will break easily because of the “startup inertia” required to move the pawls. A couple of thoughts on this: In the past one hundred years, tippet strengths have increased dramatically while engineering abilities have improved substantially. Anglers back then caught plenty of fish on poorly machined reels bought at local drug stores using the weakest of tippets. Abel, Hardy, Sage and Galvan are big names in reels today. Many of their best small stream trout reels are click pawl (or similar) designs. 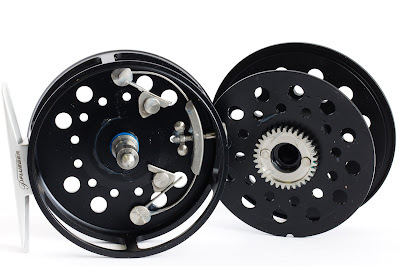 This should give you a little comfort in knowing that these systems have been designed by the best reel manufacturers in the world and after more than a hundred years, they are still the go-to reels for some of the best anglers on earth. The only thing that has really changed that would hurt an angler fishing light tippet for big trout is a fast, stiff rod. 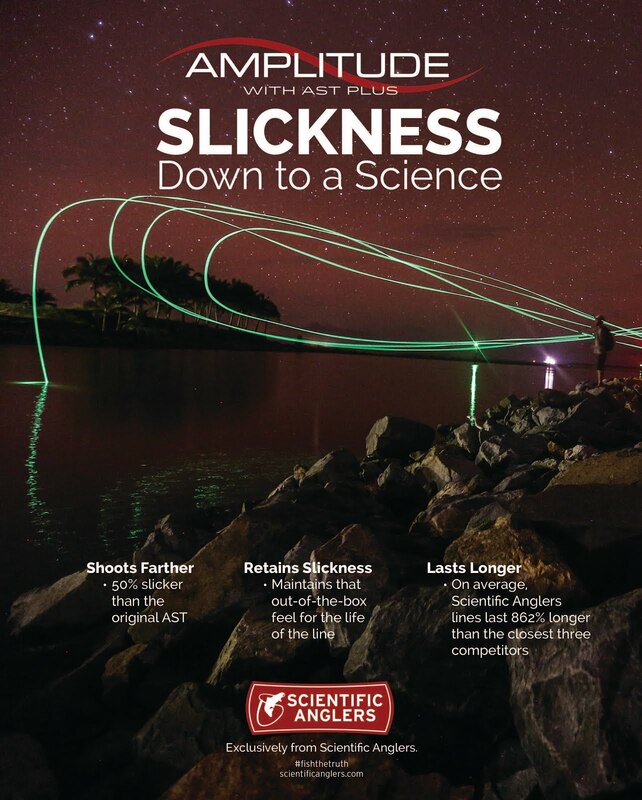 If you prefer a fast rod for sneaky trout fishing, I would suggest reading Ryan’s article on Soft Rods and Light Lines There is a lot to be said for the capabilities of soft rods when it comes to casting at, hooking and playing big fish on light tippet. His article is definitely worth the read. Maybe a click pawl reel isn’t for everyone and I am ok with that. I still own plenty of reels from names like Ross, Bauer and Lamson and I will continue to collect reels like my girlfriend collects shoes. 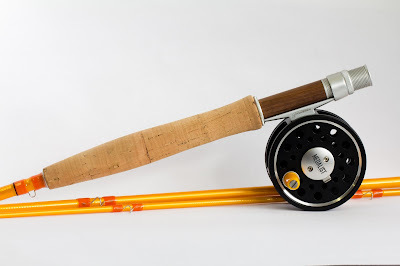 But when I am looking to find that reel that I will never sell to put on the one rod that I will own until I die, there is only one thing for me to do, and that is to go old school. Amen, Andrew! Nothing like the sound of screaming Hardy! Andrew, which click and pawl reel would you consider for a Sage 590 LL rod? Presently I have the Redington Drift and it balances well. I am considering Hardy or Orvis.